You loved Bertie's Year. You'll really love what Bertie is doing this winter. 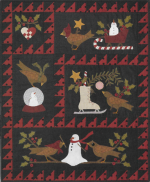 This adorable wall hanging, by Bonnie Sullivan of All Through The Night, is 28''x34'', and is sure to be a winter must have. This wonderful kit has wool applique with traditional machine piecing. It's a fun and sweet winter's night for your home all season long. See below for event details and to register today! Betsy Chutchian's newest book is hot off the press! 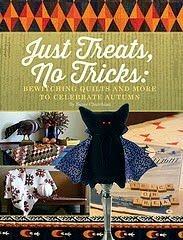 And, we are excited to announce that she is joining us Friday, Sept. 19, at 1 p.m. in celebration of her newest book "Just Treats, No Tricks" for a book signing and trunk show. 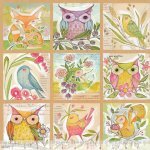 She'll be sharing stories and quilts from her new book, which showcases her love for Halloween and fall. It's going to be so much fun! 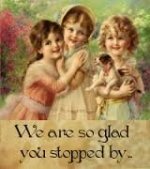 Don't miss this opportunity to see Betsy's beautiful quilts, her stories and to get your books signed.